Hope all the members of the Ponty Forum are well? / Gobeithio bod pawb ar fforwm Ponty yn olew? I wanted to get i touch to mention our new company called "218 Events'. 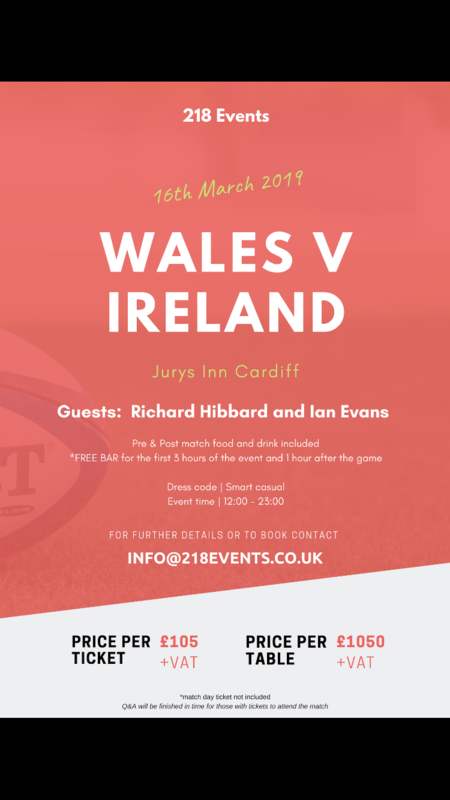 We're new Welsh business and we're putting on hospitality events for the England and Ireland 6 Nations matches in Cardiff Hotels. Complimentary bar (for a limited period) and private bar for the remainder of the day. Q & A with players. For those with tickets there will be an opportunity to go to the match and return. 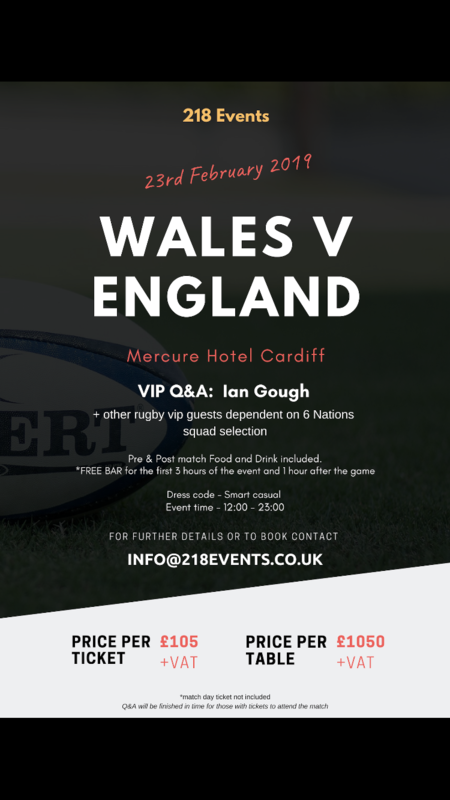 in terms of cost we are the most reasonable hospitality event in Cardiff. Tickets are available in tables of 10 or individually. I've attached our poster with some more information and pricing. For more information please get on touch. You can't advertise this price as 105 plus VAT - it is against advertising standards guidance. Advertising on this forum should not be allowed.